Wannabe Mark Zuckerbergs, get your pitches ready! Saudi Arabia is planning to pump tens of billions of dollars into tech companies around the world. The oil rich kingdom is joining forces with Japanese telecom firm Softbank (SFTBF) to form a tech investment fund worth as much as $100 billion, making it one of the largest on the planet. Over the next decade, the fund "will be the biggest investor in the technology sector," Softbank CEO Masayoshi Son said in a statement Friday. In some ways, the two are natural partners. Saudi Arabia is desperate to make its economy less dependent on volatile oil prices, and Softbank has ambitions to be a global tech leader as growth in Japan stagnates. Saudi Arabia's sovereign wealth fund will put up as much as $45 billion of the money, with Softbank throwing in at least $25 billion. Several "large global investors" are talking about committing funds, the Japanese company said. Both Saudi Arabia and Softbank have shown an appetite for big tech investments in recent months. The Saudi fund invested $3.5 billion in ride-sharing startup Uber in June. And Softbank splashed out $32 billion on British chip designer ARM Holdings in July, a move that didn't please the Japanese company's shareholders. Softbank has also taken a hit from its purchase of struggling U.S. wireless carrier Sprint in 2012. But other investments have proved very savvy, including getting in early on Chinese e-commerce giant Alibaba (BABA). And investors appeared to welcome the announcement of the new fund, pushing Softbank shares up 3.3%. Saudi Deputy Crown Prince Mohammed bin Salman, who is leading the country's efforts to diversify its economy, said that Softbank and Son's "strong investment performance" as a key reason for investing in the new tech fund. Neither partner appears to be deterred by warnings of potential bubbles in the valuations of big startups and established tech companies in the U.S. Funding for startups has also plunged recently in India. "We will further accelerate the information revolution by contributing to its development," Son said. 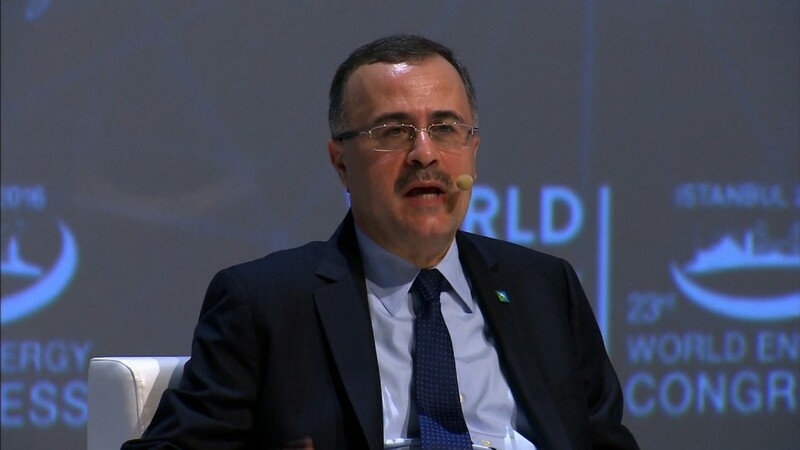 Earlier this year, Saudi Arabia announced an ambitious plan to create a huge sovereign wealth fund that would be worth 7 trillion riyals ($1.9 trillion) by 2030, which would make it by far the biggest in the world.